That's what true courage looks like. You can tell Seb has gone through a lot, yet he keeps smiling. A huge thanks to Celeb Charity Cinema for letting us know that a cap Henry signed for them at The Man from U.N.C.L.E. premiere in London, has found the perfect owner in the little boy recovering from bladder cancer. Please join us in sending his family positive thoughts. Here's the direct link to his Facebook page. Thank you again for what you do Celeb Charity Cinema. The true spirit of Superman. UPDATE 7/14: Seb's mom Natasha, reached out to thank everyone for their support. What an adorable little boy! Seb short for Sebastian? I like that name need more original like this lil one. Wish I could donate my blood if only my anemia went away so soon. Right on, Seb! Keep fighting little dude! Aww i pray he is healed of cancer my jesus name amen ...congrates little man. 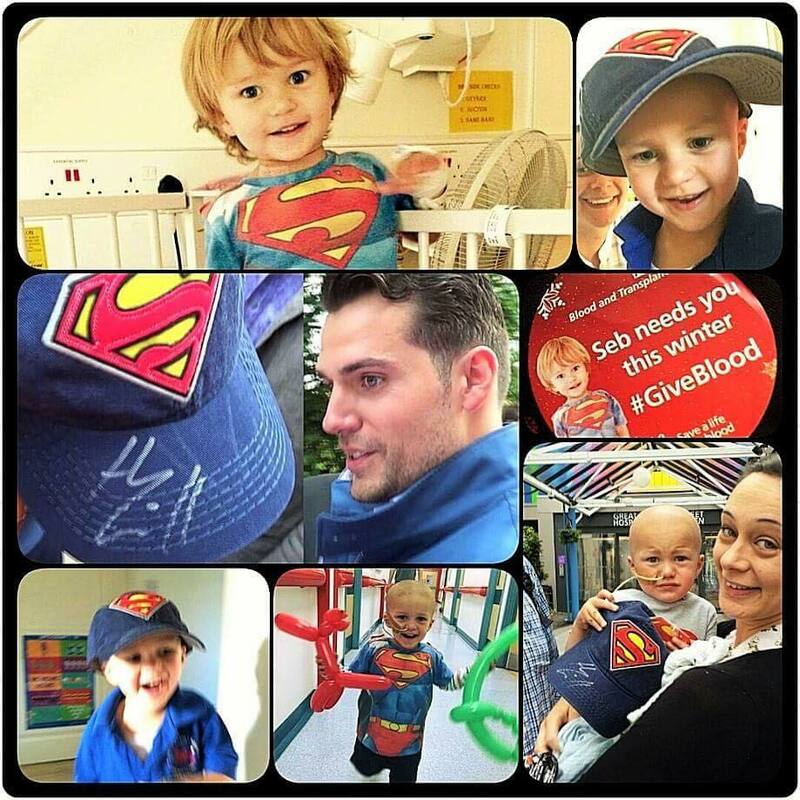 Thank you Henry Cavill for giving joy to these children of God sick. God bless your generosity and love. I will offer with faith prayers for the health of them and their speedy recovery.